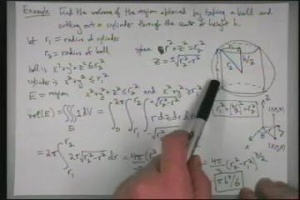 In this course, UC Berkeley Professor Michael Hutchings gives 40 video lectures on Multivariable Calculus. UC Berkeley Professor Michael Hutchings in Lecture 23: Triple Integrals in Spherical Coordinates. Habtamu wrote 6 years ago. Zahid wrote 8 years ago. lilsergi wrote 9 years ago. sergio wrote 9 years ago.